Showing 50 articles from May 18, 2016. LOUISBURG -- Franklin County commissioners essentially approved a more than half a million dollar contract to have an Ohio-based company assist the county's tax office with revaluation. At the same meeting, commissioners agreed to rebid its trash hauling contract, refusing to award the job to a neophyte business that was the lowest bidder. Last month, Franklin County Tax Administrator Dan Williams told commissioners that preliminary work for revaluation was underway and the final product would be the result of an intimate collaboration between county tax staff and whoever was brought in to assist the county with revaluation -- a change from the 2012 revaluation when county staff was brought in at the last minute to correct work done by Assessment Solutions. 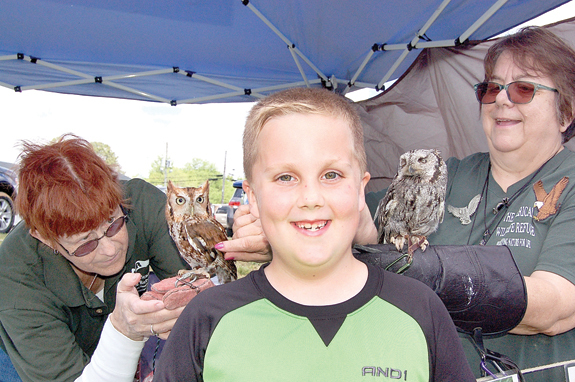 Jonathan Ball, 7, of Bunn, certainly enjoyed the Bunn Fun Day last month. He was all smiles as, from left, Dee Glazier and Katherine Townsend from American Wildlife Refuge in North Raleigh, perched two rescued owls near his shoulders for this photo opportunity. YOUNGSVILLE -- As expected, Town Administrator Bill Tatum presented commissioners with a budget that will raise taxes. Next month, residents will get a chance to voice their opinions about the spending plan. The first time residents had a chance to inquire about the tax increase, though, they didn't show. For about a year, commissioners and town staff have talked about moving into a new town hall, citing all sorts of structural, electrical and plumbing issues with town hall and the police department building. LOUISBURG -- Town officials got a little good news Monday night when the low bid for a SCADA System at the town's sewer plant came in well under estimates. The system, which includes controls that monitor the treatment plant, came in at $169,300, about $21,000 less than estimates. The town quickly accepted the bid and awarded the contract to Custom Controls Unlimited of Raleigh. The project was sent out for bids earlier, although the town did not receive enough proposals in April to award a contract. 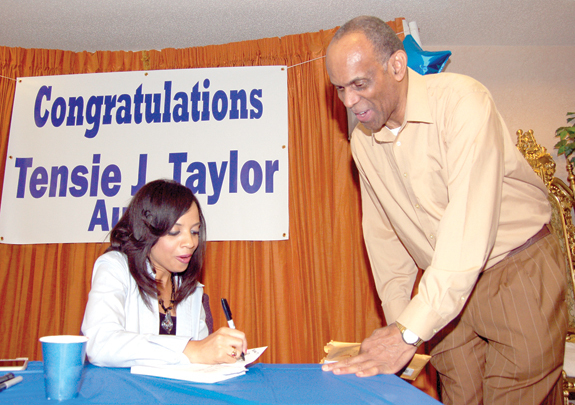 Author Tensie Taylor signs a copy of her book for Booker T. Driver Jr.
LOUISBURG -- Tensie Taylor was back at the scenes of the crimes, as it were recently. "When I drove past Louisburg Elementary, it reminded me of when that bully threw all my belongings on the ground on my first day of kindergarten," Taylor said during a signing for her book, Bullied: From Terror to Triumph, My Survival Story. "When I drove past Terrell Lane Middle School, it reminded me of being in the locker room and that bully trying to break my arm. Long-time, careful readers of The Franklin Times will notice a few changes in this edition. First, the popular sports pages will move into Section A. This week they are pages 8a through 12a. The paper's sometimes controversial editorial page and op-ed page will move into Section B. This week they are pages 2b and 3b, respectively. Classified advertising and legal notices will stay where they have long been, toward the back of B Section. This week that means pages 6b, 7b and 8b. 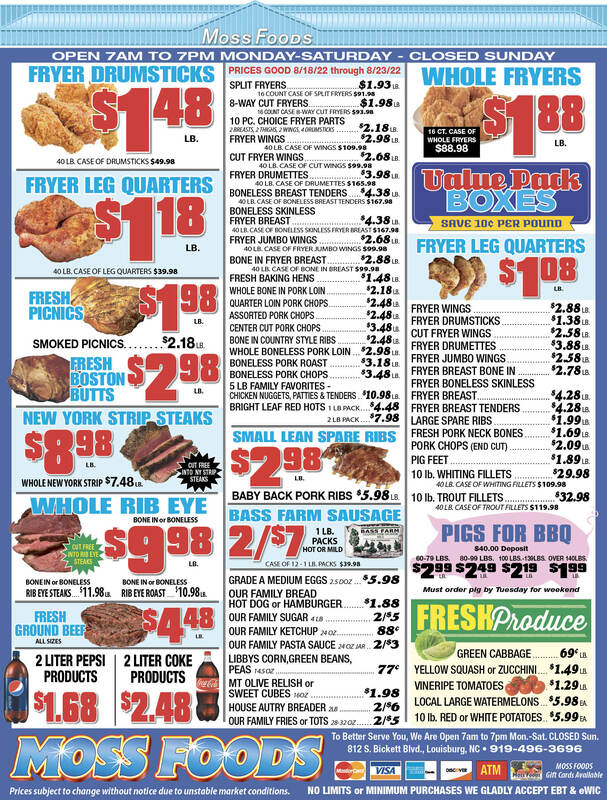 Some other news items pages will also appear in the B section most weeks. How do we 'switch on' Raleigh to clean energy? With summer's sunny days just around the corner, a lot of us drive past our growing solar farms and get positive vibes about electrical power being silently generated from Ole Sol's rays without burning any fossil fuels and creating pollution. Given how quickly solar farms are popping up, it's pretty easy to get smug about how smart we are -- and how far ahead we must be. 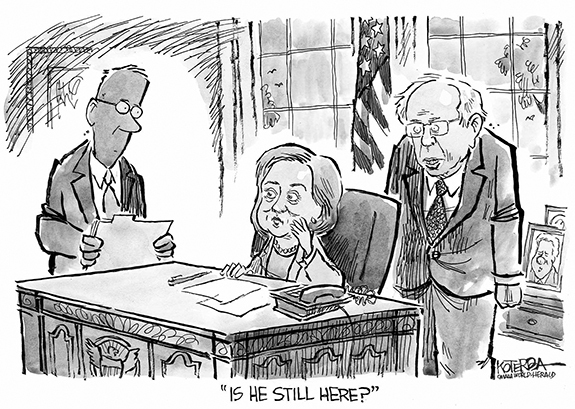 Well. . .get over it! Can you spare a buck to help local children? The need just continues to grow -- and in our lukewarm economy, children are getting hit hardest of all. And they are the least capable of responding to and of minimizing the challenges they face. All that is pretty obvious and it's worth noting that one of Franklin County's premier volunteer efforts -- Happy Camper -- is in need of help. Happy Camper is the brainchild of Louisburg attorney Charles Davis who created it back in the early 1990s as a way to reach out to children who were in need of a helping hand. Will Youngsville and county leaders play well together? The last time I made a point of what appeared to be a strained relationship between two governing bodies, I was quickly rebuked. If you remember, some time back, I wrote about a county commissioner meeting where Louisburg Town Councilman Boyd Sturges filled in for his law partner -- Pete Tomlinson -- to serve as the county's legal counsel during the meeting. I could not help but notice that when Sturges walked in, the normal chatter that takes place just before the start of the meeting abruptly stopped. So, how do you like ultimatums? When someone threatens you if you do not do what they want, does it anger you? It is one thing to work out differences; it is another to be bullied into submission. I routinely read accounts of people saying if Mr. Trump is elected President they are going to leave the country, most say they will go to Canada. I wonder how most Canadians feel about this. If that grass is not greener I guess they will be moving again. 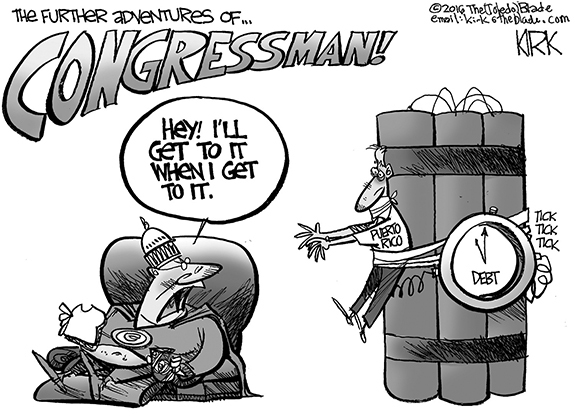 I've been among those complaining about Sen. Richard "Bank Run" Burr collecting his paycheck while refusing to do his job. That complaint was initially motivated by his refusing to consider President Obama's nominee for the Supreme Court vacancy. Now he has taken it one step further by refusing to consider Obama's nominee for the vacancy on the United States District Court for the Eastern District of North Carolina. There are those that demand we conduct "intelligent" conversation concerning gender identity and the rights associated with such identity. Yet, some of those demanding such refuse to accept any ideas in conflict with their own and they then proceed to inflict "punishment" for opposing ideas. How is "intelligent" conversation to be had with such behavior? FRANKLINTON--Funeral services for John Robert Hawkins, 59, who died Monday, May 16, 2016, will be held Saturday, May 21, at 3 p.m. at Richardson Funeral Home in Louisburg, with the Rev. Billy Williams, officiating. Burial will follow in the Hawkins Chapel Church cemetery. LOUISBURG - Seth Maurice Crudup, 57, died Tuesday, May 17, 2016. 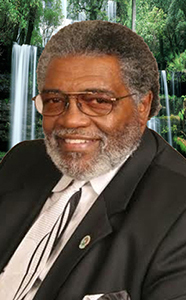 Funeral service will be held at 2 p.m. Saturday, May 21, at William Toney's Funeral Home Chapel, Zebulon. RUNNING AWAY FROM THE COMPETITION. 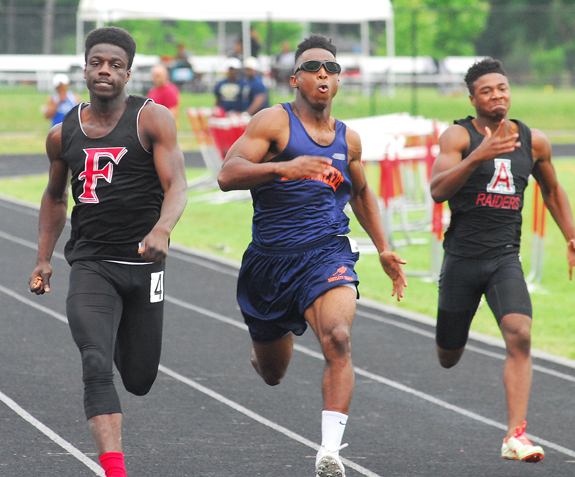 Franklinton's Antawn Johnson (left) sprints away for a victory in the Boys 100 as part of last Friday's Class 2-A Mideast Regional Track and Field Championships. 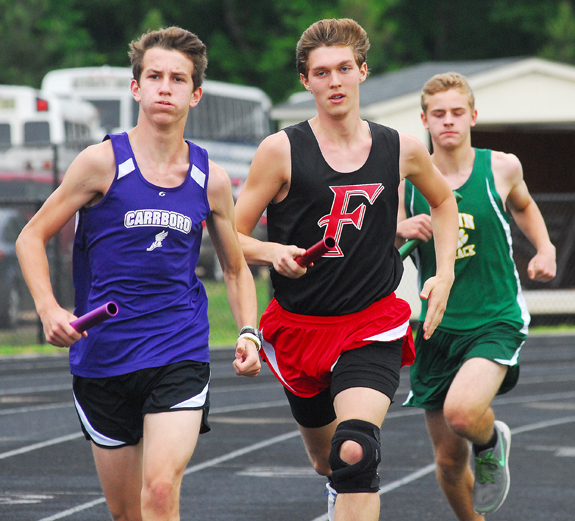 FRANKLINTON -- Franklinton hosted the Class 2-A Mideast Regional Track and Field Championships last Friday for the first time in school history -- which brought with it the pressure of having to put together a strong overall performance. Franklinton rose to the occasion with a strong all-around effort that Coach Clennie Wilkins hopes will propel the Red Rams and Lady Rams to even greater success this Saturday at the Class 2-A State Championships. WE DID IT! Members of the Louisburg High School softball team celebrate after wrapping up last Saturday afternoon's comeback victory over Riverside in the second round of the Class 1-A State Softball Playoffs. 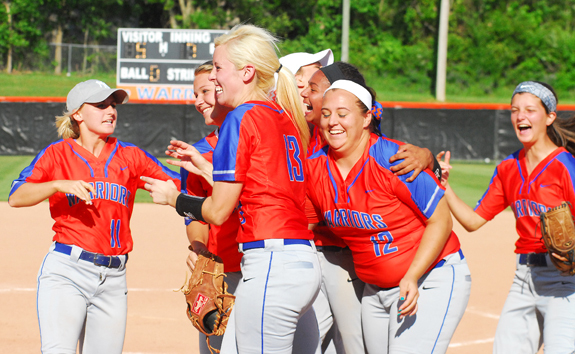 LOUISBURG -- During her two decades at Louisburg High School as a player and coach, Erica Wammock has seen just about every memorable softball victory the Lady Warriors have achieved. In Wammock's estimation, few of them can top last Saturday's comeback conquest over Williamston Riverside in the second round of the Class 1-A State Playoffs. Louisburg trailed by five runs heading into the bottom of the fourth but was able to rally in clutch fashion to defeat Riverside by a 7-5 margin at the LHS Softball Field. EMOTIONAL MOMENT. 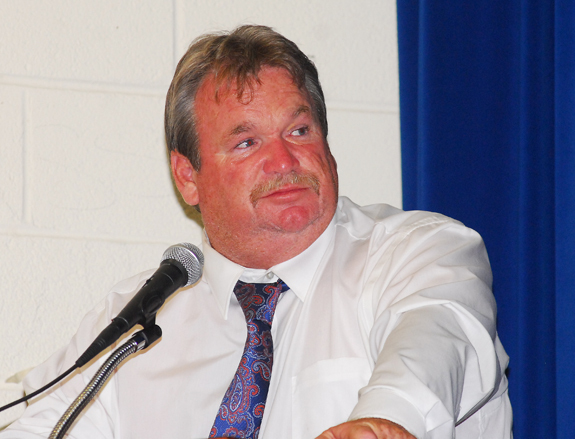 Louisburg High Schoo's Al Bolton speaks to the audience at Monday's LHS Athletic Awards Ceremony. Bolton, who has been at LHS since 1989 and is a Louisburg native, will be retiring at the end of the school year. 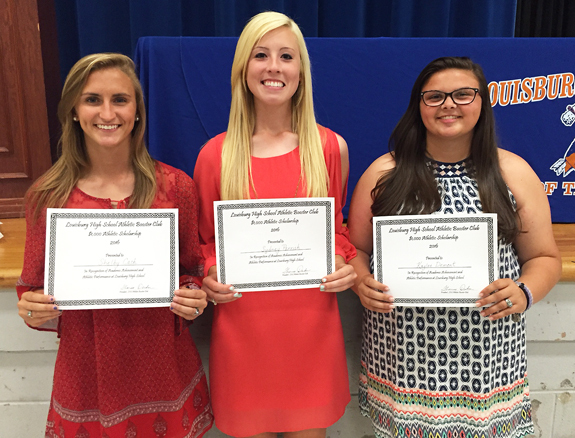 LOUISBURG -- For the first time in history, three Matt Greear Ultimate Warrior Award plaques were presented at the annual Louisburg High School Athletic Awards Ceremony. 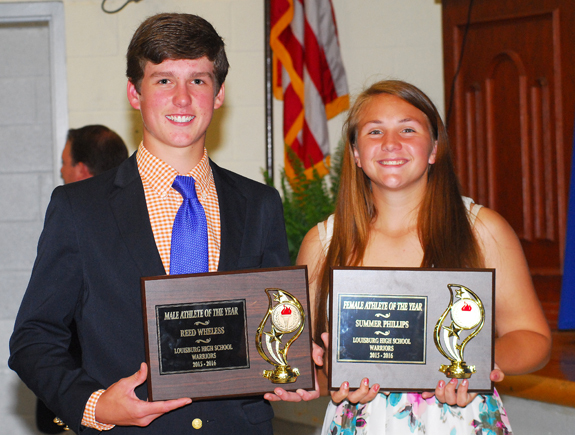 A male and female athlete usually receive the award, and this year's winners were Jake Murphy and Sydney Parrish. TURN IT. 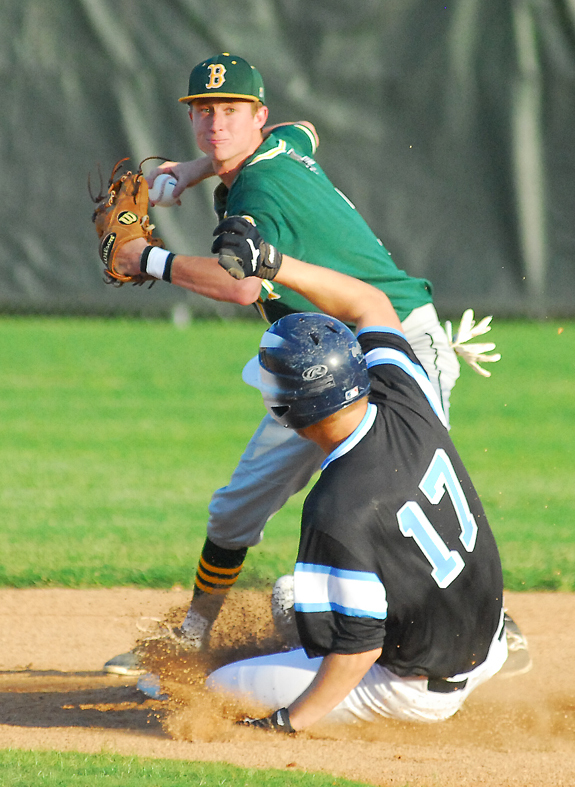 Bunn's Connor McKeithan (top) registers a force play at second base during last Friday's playoff baseball game against rival South Granville HS. BUNN -- Coaches always consider it a difficult proposition to beat a team three times in one season, regardless of the sport. Especially when that club happens to be the defending state champion. Such was the task Bunn's Wildcats faced during last Friday's third-round matchup against South Granville in the Class 2-A State Playoffs. Bunn had defeated SG twice in the regular season to win the Northern Carolina Conference championship for the fifth consecutive campaign. A LITTLE SWIPE. 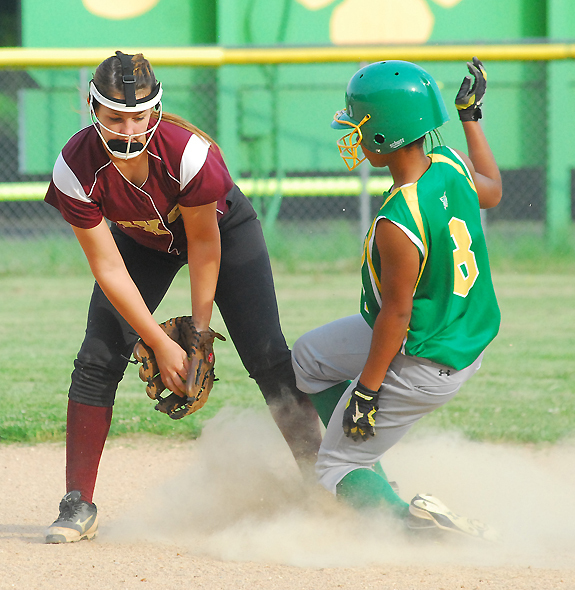 Bunn's I'Kesha Little (right) steals second base for the Ladycats during last Wednesday's home victory over Dixon in the opening round of the Class 2-A State Softball Playoffs. BUNN -- Another year, another meeting between long-time softball rivals Bunn and South Granville in the state playoffs. Bunn roared through the first two rounds of the Class 2-A State Playoffs, winning last Wednesday at home against Dixon (11-0) and last Saturday at South Columbus (9-1). That set up a rematch against South Granville on Tuesday, but it was pushed back to Wednesday due to poor weather. BUNN -- Bunn High School will kick off its 2016 varsity football schedule on Aug. 19 with a road game against the Wilson Fike Golden Demons. Bunn's home opener will be Aug. 26 against Northwest Halifax. The Wildcats, coached by David Howle, are the defending Class 2-AA East Regional Champion. LOUISBURG -- Senior standout Breasia Williams will once again represent Louisburg High School at the Class 1-A State Track and Field Championships. The states will be held this Friday beginning at 10 a.m. at Aggie Stadium on the campus of North Carolina A&T State University in Greensboro. Williams will compete in the shot put and discus. Though she has been successful at the states, Williams has yet to bring home a first-place medal -- something she hopes to change this time around. FRANKLINTON -- Ricky Person has received plenty of accolades as a highly recruited football player at Franklinton High School -- but he isn't the only Red Ram who is getting some national exposure. 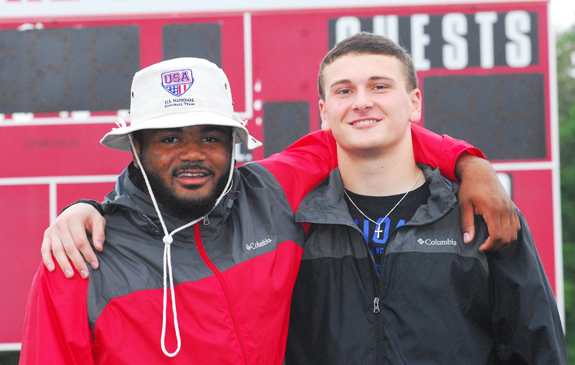 Earlier this spring, a pair of Franklinton standouts were invited to participate in a two-day tryout for the Team USA high school football squad. Players who make the roster will be part of an All-Star Team that will compete at the end of the regular season for seniors against clubs from other countries. ZEBULON -- Lynchburg's Yu-Cheng Chang broke a 4-4 tie in the seventh with a solo home run off reliever Carlos Salazar and the Hillcats eventually held on for a 5-4 win against the Carolina Mudcats on Sunday afternoon at Five County Stadium in Class A Carolina League diamond action. Chang scored three runs and was 1-for-5 in Sunday's game for the Hillcats (24-12). He reached on an error and scored a run in the first and reached via an error and scored a run again in the fifth. Castalia resident Cory Leonard (front, fourth from left) and Louisburg resident Chuck Murray (back, fourth from left) were part of the North Carolina contingent that won the team competition between 18 states at the Academy Sports Outdoors B.A.S.S. National Eastern Regional. The event was held recently on Douglas Lake, which is located in East Tennessee. 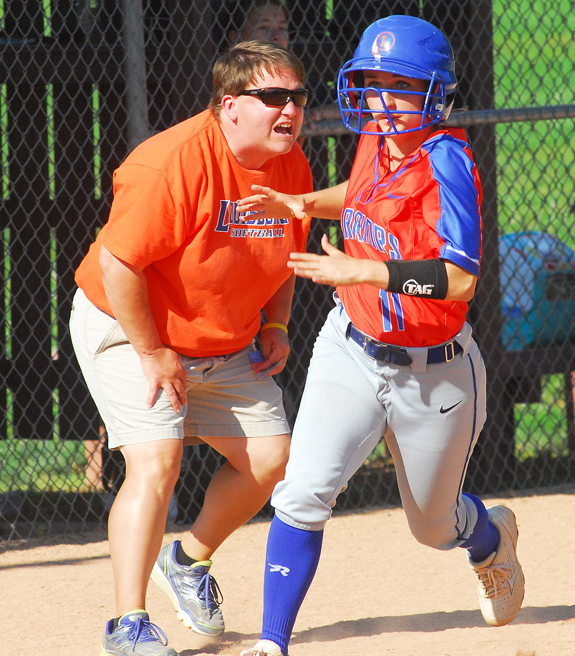 Louisburg coach J Stamey (left) sends Katlyn Tharrington home for a run last Saturday. 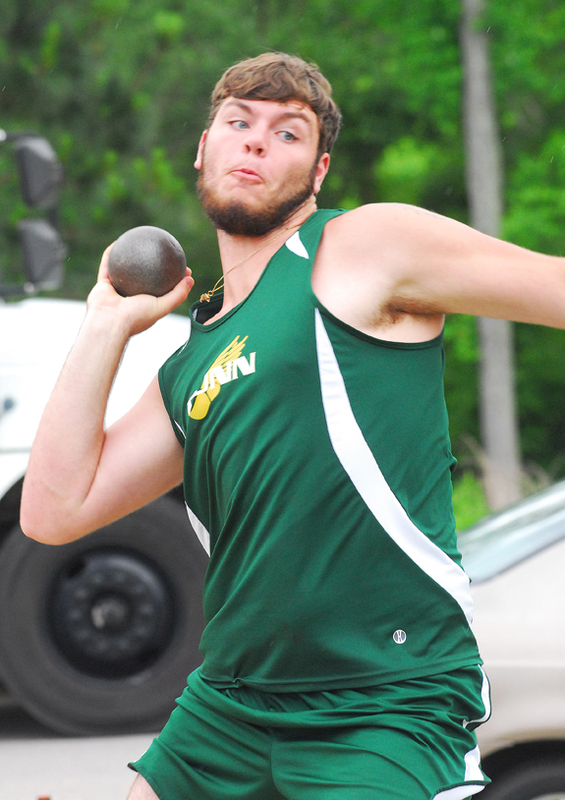 Bunn's Jackson Leggett, shown competing in the shot put, will take part in the discus event at Saturday's Class 2-A State Track and Field Championships at Aggie Stadium in Greensboro. Franklinton's Sheldon Bowman (center) tries to maintain the pace in the Boys 3200 Relay at last Friday's Class 2-A Mideast Regional Track and Field Championships at the FHS Football Field. Container gardening is more popular than ever. Edibles can be grown in containers in a variety of outdoor spaces. Regardless of the scope or size of your container garden, selecting the right containers, planting media, and plant combinations are the first steps on the road to success. There are many different types of containers that you can purchase, build or recycle. It was a day Polly Mitchell likely remembered for the rest of her life. On April 11, 1825, William Norwood, who presided over the spring session of the Superior Court of Franklin County, ordered that Polly, a slave belonging to John Mitchell, be freed. This action reflected not only the court's confidence in Polly's character, but also the love of her husband and the support of prominent men in her neighborhood. Alma Burke will be the featured artist at Franklin County Arts Council's Back Galley in their headquarters at 22 S. Main St., Franklinton for an afternoon tea on Saturday, May 21, from 3 to 5 p.m.
Burke will give a short presentation about her art. Her work will be shown and available for purchase through June 9. The public is invited to this free event. Tea and cookies will be served. 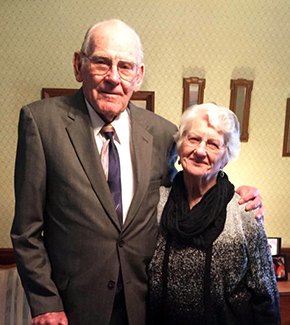 Dan and Coleen Pearce celebrated 74 years of marriage in March. Married March 22, 1942, they built their life together using Jesus Christ as their solid rock, making them great role models for their family and friends, according to a family member. They are faithful members to Rock Springs Baptist Church. They have three children: Barbara Gentry, Pat Cash and Danny Pearce; many grandchildren and more great grandchildren and some great great grandchildren. "They are the backbone to our family and have taught us what true love really is," granddaughter Sherry Mercer added. 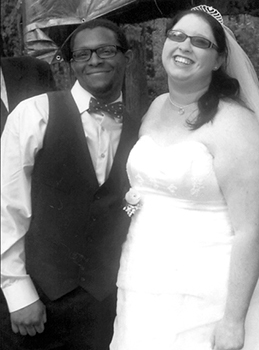 Mary Elizabeth Costello and Darrell Lewis Fortson III were married April 29 in Zebulon. The officiating minister was Tim Gorton. The bride is the daughter of Robert and Linda Costello of Zebulon. The groom is the grandson of Eugenia Williams of Raleigh. The bride was given in marriage by her father, Robert Costello. Serving as matron of honor was Samantha Lynn Wilson of Zebulon. Bridesmaid was Sarah Joyce Clifton of Zebulon. Wake Electric and the other 25 co-ops in the network of North Carolina's electric cooperatives have collectively pledged nearly $600,000 to the state's teachers in Bright Ideas education grant funding for the 2016-17 school year. Educators can submit an application for grants of up to $3,000 for creative, hands-on classroom projects that would not otherwise be possible. Teachers can learn more about Wake's teacher grants at www.wemc.com and apply online at www.ncbrightideas.com. FRANKLIN COUNTY -- Franklin County sheriff's deputies are looking for suspects in a handful of home break-ins. The morning of May 13, deputies responded to a report of a breaking and entering at a home in the 500 block of John Mitchell Road near Youngsville. Damage was reported, as well as items being stolen from the property and a vehicle. On the same day, just before 1 p.m., deputies were made aware of a an attempted burglary at a residence on Home Place Lane in the Zebulon area of the county. Franklin County sheriff's deputies are probing some vehicle thefts and vehicle break-ins. The afternoon of May 14, deputies were called out to a home in the 100 block of Cameron Park Drive near Louisburg where a vehicle was reported stolen. That same afternoon, deputies responded to a home on Atherton Drive near Youngsville where items were reported stolen from a vehicle. In that same neighborhood of Youngsville, on Bethany Lane, another larceny from a vehicle was reported. About 40 to 45 supporters of controversial House Bill 2 held a rally in front of the county courthouse in downtown Louisburg last Friday. 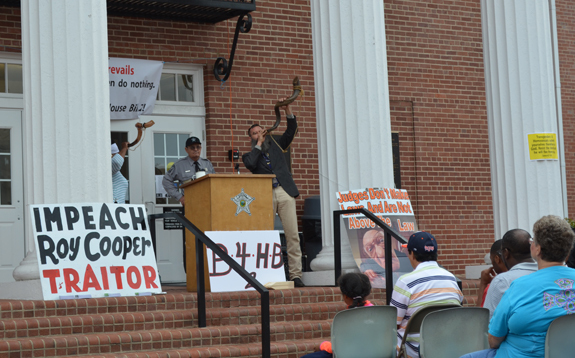 In the photo above, two participants blew large horns to begin the rally. Speakers relied on various religious references to support the bill, contending it provides "for the safety and protection of traditional bathroom policies" and they thanked Gov. Pat McCrory for signing it into law. Although some of the organizers said the rally was to be non-political, signs accusing North Carolina Attorney General Roy Cooper of being a "traitor" and others supporting Gov. McCrory were evident. YOUNGSVILLE - The Franklin County Humane Society has announced it has been awarded a $10,000 grant from the Petco Foundation to support its low-cost spay and neuter program, SNIF. FCHS is a nonprofit organization founded in 2002 by volunteers who realized the overpopulation and stray animal problem in Franklin County needed to be addressed. 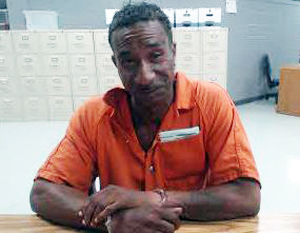 LOUISBURG -- A Nash County man whom authorities said fired shots into an occupied dwelling made an appearance in court this week. The case against Adam C. Schroeder, 24, is next slated to be heard on May 23. Investigators arrested Schroeder last week, charging him with the May 8 shooting into a home in the 400 block of Stallings Road. No injuries were reported, but investigators allege that once they got on the scene, Schroeder again fired a weapon in the direction of the resident. 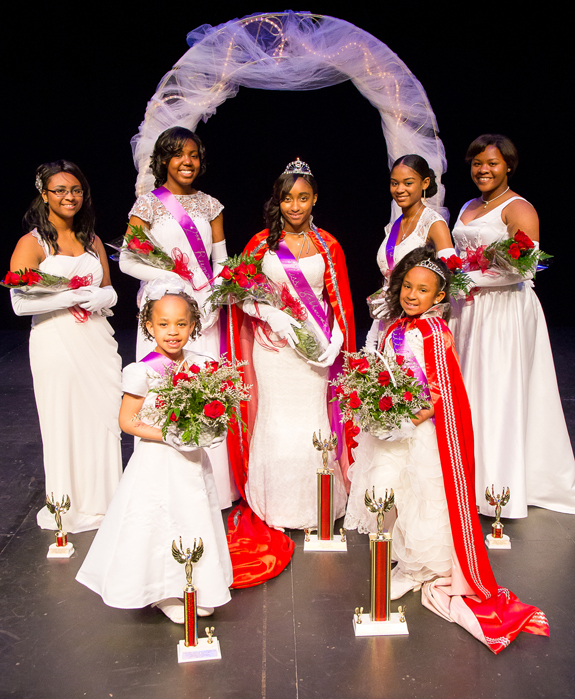 HENDERSON -- Inspiring a Legacy of Excellence was the theme of the 62nd Jabberwock Extravaganza hosted by the Oxford-Henderson Alumnae Chapter of Delta Sigma Theta Sorority, Inc.
Jaiden Foster, a third grader at Royal Elementary, was named Little Miss Jabberwock. 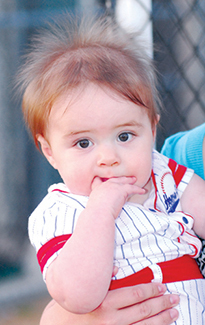 Jaiden is the daughter of Samuel M. Foster and Deanna C. Lark. First runner-up for Little Miss Jabberwock was Saniyah Silver. The FCAC Writers' Guild is sponsoring its second annual FCAC Writers' Guild Carolina Prize in writing contest open to previously unpublished poetry, short stories, and essays or creative non-fiction. This year two prizes will be awarded, one for prose and the other poetry. Each prize will be $100 plus two copies and page one publication in the 2017 issue of County Lines: A Literary Journal. Up to five honorable mentions will also be named. They will receive publication in County Lines and one free copy. Twenty-four writers came together at Falls Lake State Park's Rolling View Community Building recently for a day of feeding the muse. This was third retreat sponsored by the Franklin County Arts Council Writers Guild. Each year attendance has grown with writers from across the state attending. 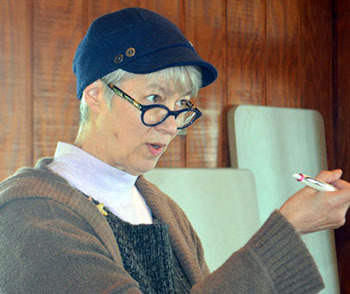 Speaker and award-winning novelist Nancy Peacock opened the retreat with a workshop titled "How to Keep a Writing Practice Going While Still Holding Down a Day (or night) Job." BUCHANAN, Ga. -- Franklinton resident and mortician Joseph B. Cutchins Jr. recently qualified for the designation of Certified Funeral Service Practitioner (CFSP) by the Academy of Professional Funeral Service Practice. A number of professions grant special recognition to members upon completion of specified academic and professional programs and "CFSP" is funeral service's national individual recognition. CCB Bankshares, Inc., is welcoming William "Scott" Burnette as vice president and market executive for Vance County. His primary focus will be lending to small and medium-size businesses. With over 20 years of broad banking experience, and a focus in commercial lending for the past 10, Burnette will continue the charge in bringing the "You'll love banking here!" approach to Vance County and the surrounding communities.